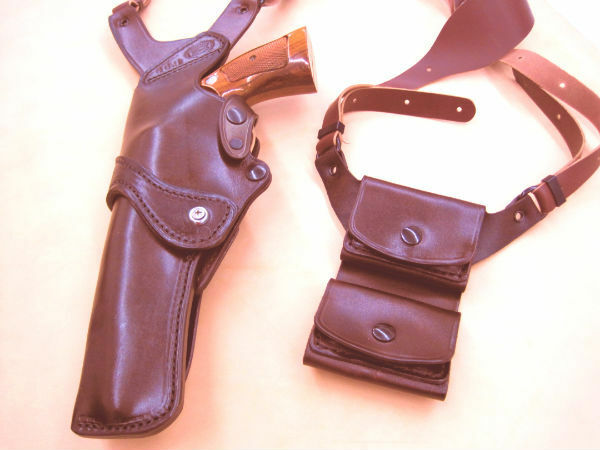 The most comfortable and secure ankle holster available. 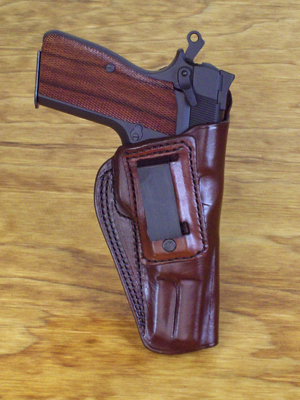 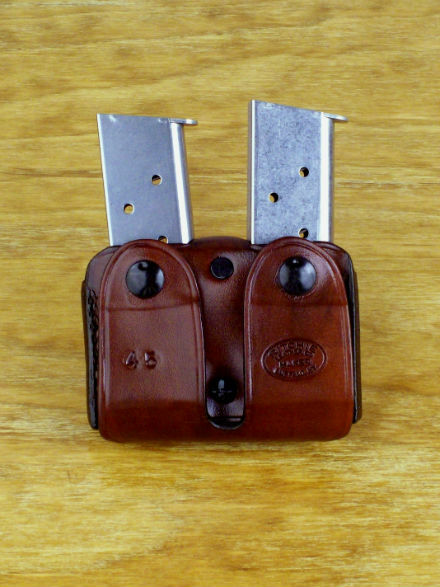 The easiest on/off outside the pants belt holster made. 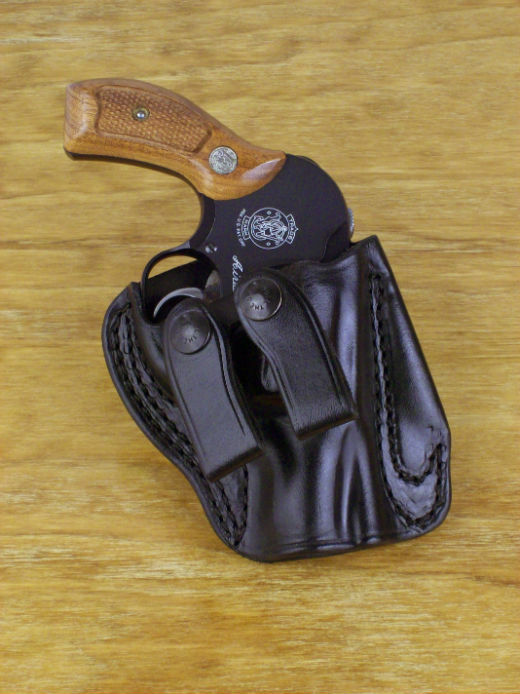 Same as the CQ-QR, but with added thumb break. 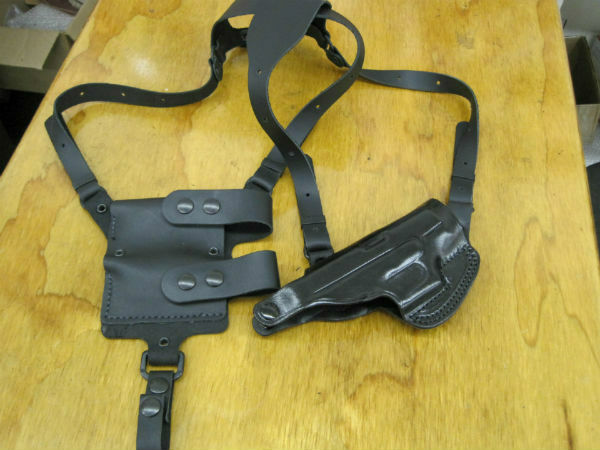 Full chrome tanned harness allows firearm to be worn in all day comfort. 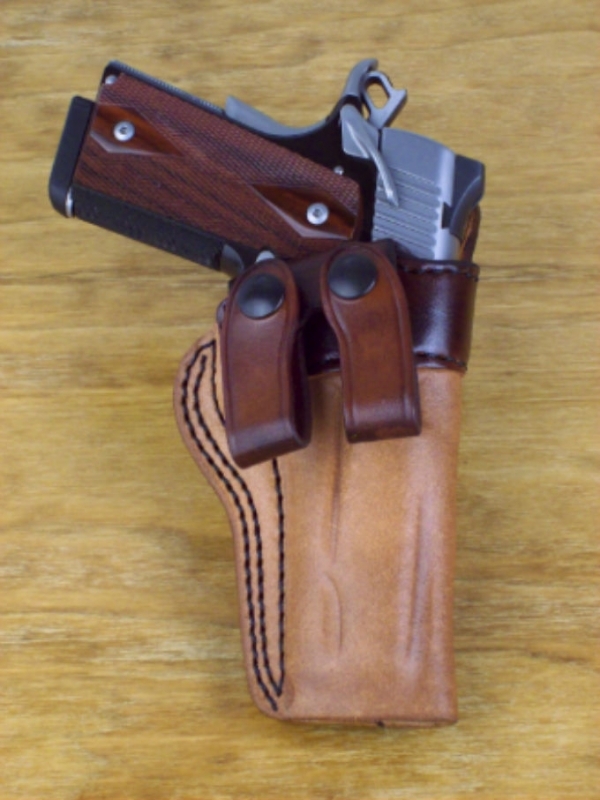 A very fast draw, 0 degree cant. 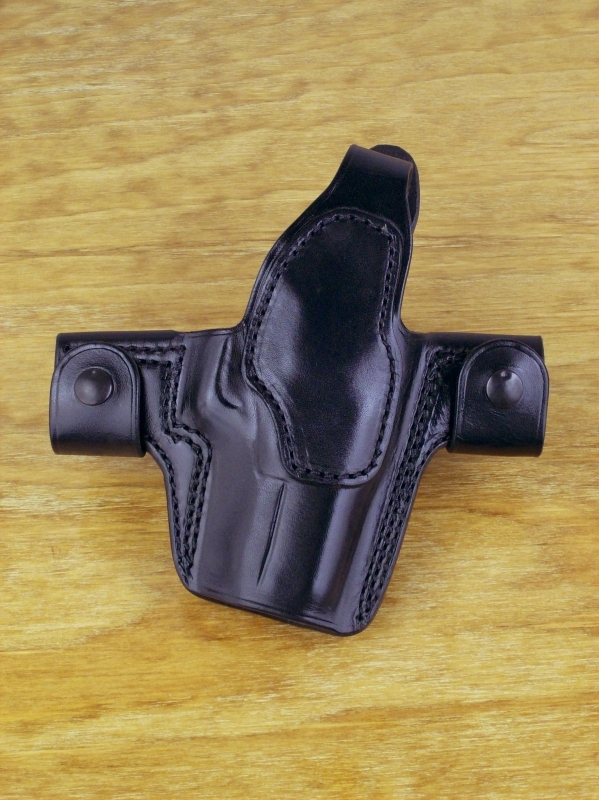 One of the most effective inside the pant holsters utilizing a clip. 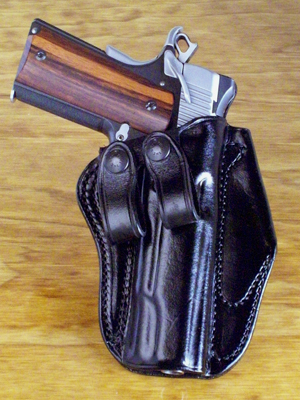 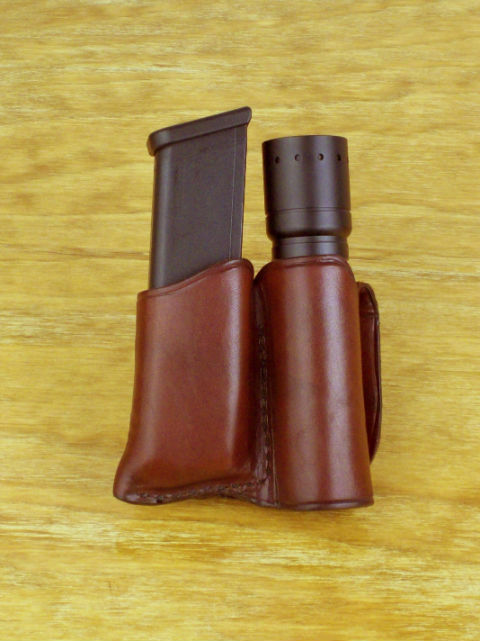 The Pocket Scabbard is designed to be carried in any pocket, made from 7oz. 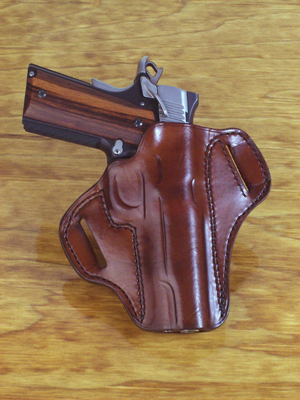 premium vegetable tanned leather. 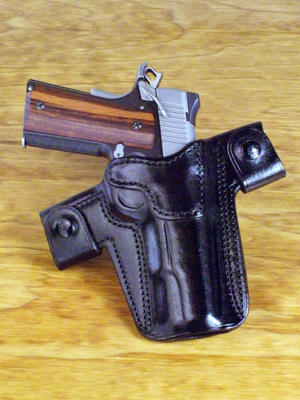 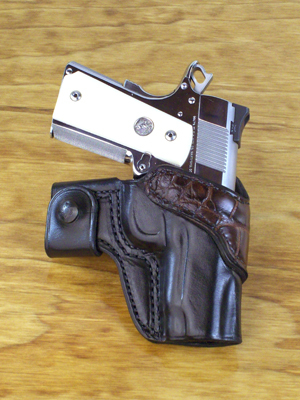 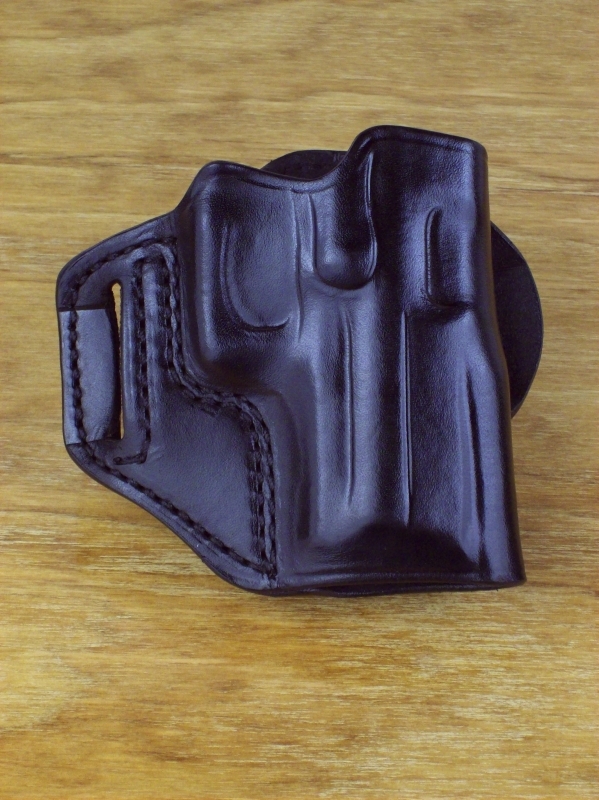 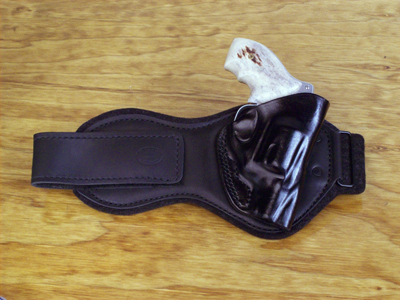 The best inside the pants holster solution that combines maximum concealment and comfort. 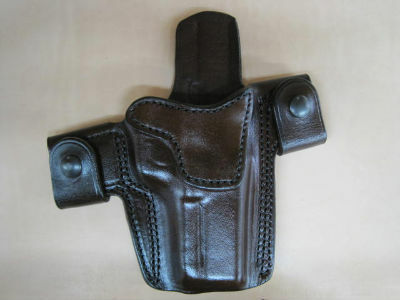 A straight up draw which can be worn strong side or cross draw and meant to be worn just forward of the hip. 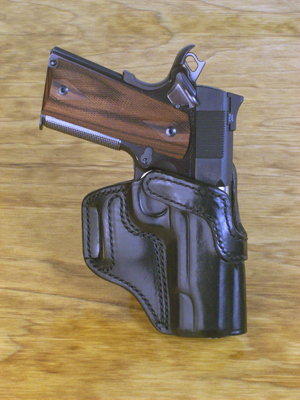 Same as the VSS but has the rear loop snap on after belt has been threaded thru forward sewing loop.